A belated Happy 4th of July all !!! We are finally back from a lengthy vacation at the shore, and my cold turkey from both drawing and drawger. 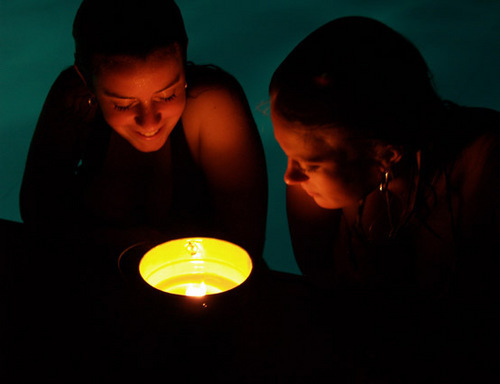 I took this George De La Tour-ish photo last night, as my daughter and her friend swam to the edge of the pool and were gazing into a citronella candle talking about whatever 17 year old girls talk about. They talk about old farts who are always taking pictures of them whilst they are studying the finer points of citronella candles.